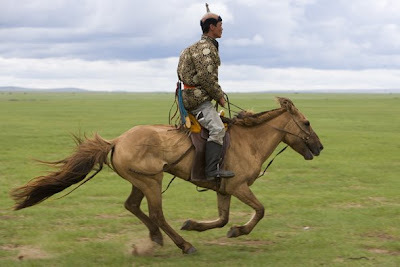 There are about 2.5 million horses in Mongolia. The country’s population is 2.5 million. Roughly 1 million people live in the capital, Ulaan Bataar. Discarding the urban dwellers, the women and children, there are roughly 5 horses to ride for every man, right? The conclusion may be correct but the premise on which it is based is entirely wrong. 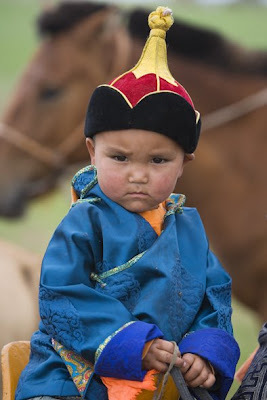 One only needs to spend a short time in Mongolia to understand that gender nor age are deciding factors when it comes to riding skills. 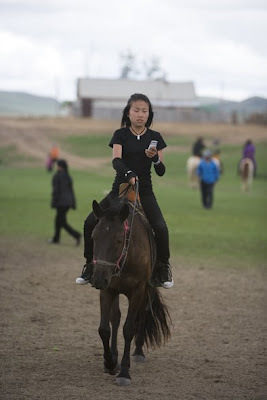 We were not alone watching all the horses race at a village Naadam we stumbled upon during our trip. The entire community came out to welcome the jockeys at the finish line. Came out on horses that is. 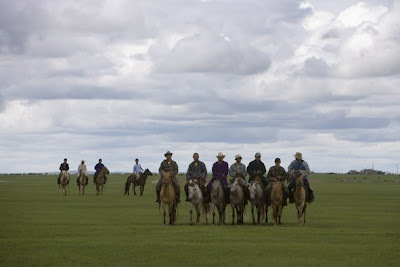 Young and old, male and female, all on their 4-legged vehicles. 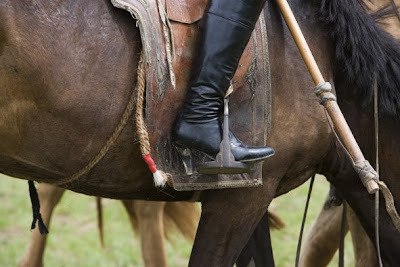 A father proudly showed his 2 year old toddler atop a horse, a young man in traditional dress galloped across the grass all the while eyeing girls, who, accessorized with high heeled boots and mobile phones, gently swayed their hips atop their momentary steeds of choice. 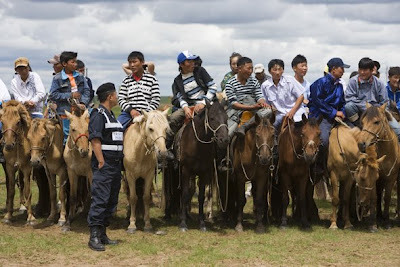 With no equestrian speed limit, no roads, no designated parking spaces, plenty of machismo and inexpensive vodka the rural Mongolian traffic police sure have their work cut out for them.